Complete Care Community Health Center in Monterey Park provides vein care with Endovenous Laser Ablation – a procedure to treat large prominent leg veins that would traditionally have been removed by surgical stripping and thus helps you meet your goal of looking best along with avoiding unwanted complications like bleeding and leg ulcers. When veins become abnormally thick, full of twists and turns, or enlarged, they are called varicose vein. This happens most commonly in the veins in the legs and thighs. The thickened, twisting or dilated parts of the vein are called varicosities. 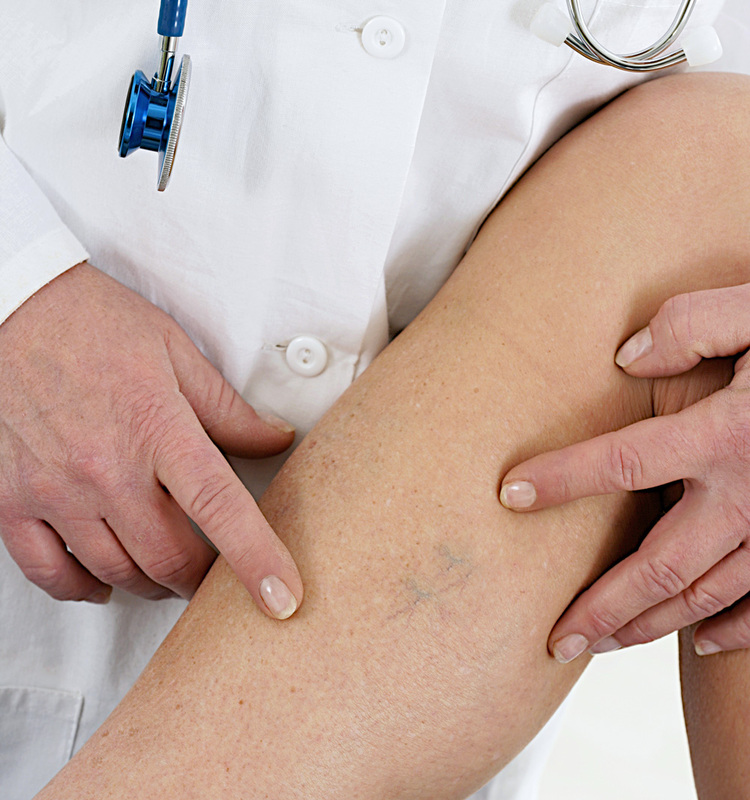 Varicose veins can form anywhere in the body, but they are most often located in the legs. Varicose veins are relatively easy to identify and can be a cosmetic nuisance for many people. A person may have severe pain upon standing or even have cramps in the legs at night. Inflammation, discoloration, or ulceration of the skin or swelling of the calf or leg is more typical of problems related to the deeper veins, especially a blood clot. Venous insufficiency may be felt as burning, cramping, throbbing, itching and heaviness in legs and may result in tired, achy legs and swollen ankles. Untreated varicose veins could lead to blood clots in deep veins, easy bleeding and open sores. Our patient care team of expert physicians and nurses have been serving our happy customers in the Greater Los Angeles area for the past 20 plus years. Our patients visit us from the Southern California cities of Monterey Park, Downey, Pasadena, Alhambra, San Gabriel, Rosemead, Montebello, East Los Angeles, South Pasadena, San Marino, South El Monte, Commerce, Temple City, El Monte, Pico Rivera, Maywood and Bell Gardens.